Lee Seok-hee, president and chief operating officer at SK Hynix Inc., has been promoted to chief executive officer in a year-end reshuffle of top executives at South Korea’s third major conglomerate SK Group on Thursday. 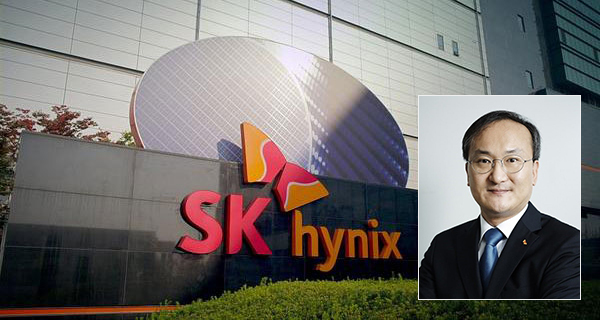 Key SK names including chipmaker SK Hynix, held respective board meetings and carried out their annual reshuffle of top executives, which was confirmed by SUPEX Promotion Committee, the group’s top-decision-making council. According to SK Group, SK Hynix’s new CEO Lee is not only equipped with global technology expertise and leadership in the semiconductor sector but also has experienced diverse roles at SK Hynix including director of Future Technology Research Institute, chief of Dynamic random-access memory (DRAM) development division, and chief operating officer. Lee also received the Intel Achievement Award, Intel’s highest recognition for technicians, three times while working for Intel from 2000 to 2010. Meanwhile, Ahn Jae-hyun, president of Global Biz at SK Engineering & Construction Co., has been promoted to the company’s chief executive officer while Yoon Byung-suk, head of solution and trading at SK Gas Co., to the company’s top position. Ahn will assume the role of boosting SK E&C’s overseas development business based on his project development experience at diverse affiliates including SK Networks Co. and SK D&D Co. Yoon is responsible for maintaining SK Gas’s leading position in the liquefied petroleum gas (LPG) industry while at the same time exploring new business opportunities in the electric field. Na Kyung-su, head of strategic planning at SK Innovation Co., was also promoted and appointed to president of SK Global Chemical Co. Na is known as a planning expert that transformed SK Innovation’s growth portfolio from that focusing on energy to chemical and battery businesses while taking on the role of head of business planning and strategic planning. The reshuffle scale remained unchanged from last year despite strong performance, given the subdued economic outlook, the group said. 1Foreigners take profits after longest 14-day buying streak in Korean s..
2Hite Jinro turns to original design for retro look on its flagship soj..
1Korea has role regionally in ASEAN and bilaterally with Thailand: envo..
2Seoul to raise share of renewables in energy sourcing to over 30% by 2..
5Botox maker MedyTox adds retail channel ahead of cosmetics brand launc..
6Hite Jinro turns to original design for retro look on its flagship soj..